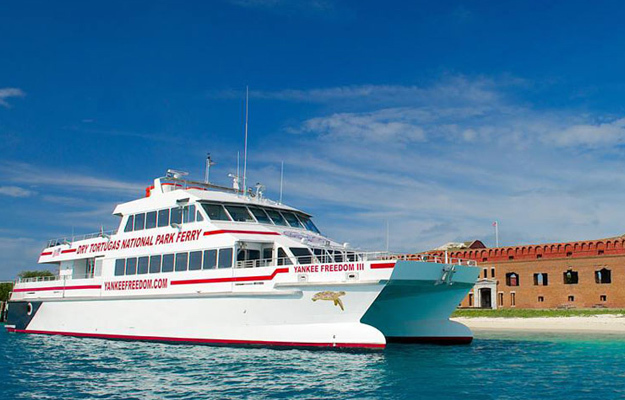 A day trip on the Dry Tortugas & Fort Jefferson Ferry aboard comfortable, fast, catamaran Yankee Freedom II is unique. Where else can you go on a great boat ride, explore a Civil War-era fort located on a small spit of land in the Florida Straits 70 miles from Key West, snorkel on shallow coral reefs, and bird-watch. The adventure begins with an early morning departure enjoying a continental breakfast in the air-conditioned interior or feeling the breeze on the open decks. As the boat cuts through clear, blue water, dolphin, turtles, and flying fish appear and frigate birds soar overhead. Anticipation builds as a red-hued structure appears on the horizon. It’s Fort Jefferson, looming large. Once docked, tour the fort with a National Park Ranger or on your own. Lounge on the beach, snorkel over shallow reefs. Take photos, enjoy a picnic lunch. On the mellow trip back, relax, have a drink, share your experience. It’s unforgettable. Snorkeling over reefs teeming in colorful tropical fish and other sealife inhabiting North America’s only living coral reef is for anyone who can swim. 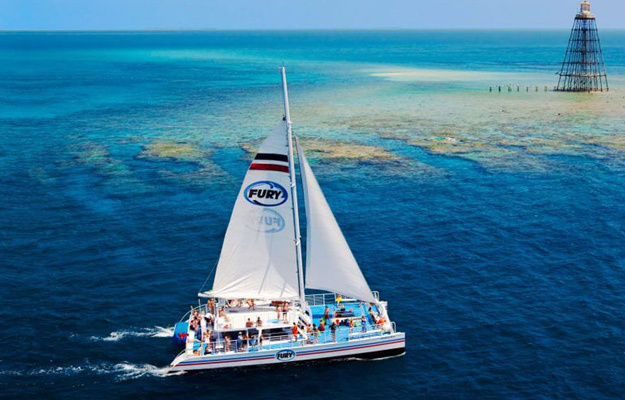 Fury’s 3-hour Morning Key West Snorkeling gets your day started out right. The early afternoon Reef & Ritas Snorkeling trip serves margaritas on the way back from a fun time snorkeling. In late afternoon on Rum & Reggae Snorkeling Sunset Combo spend time snorkeling, then kick back with a rum punch for a sail into the sunset. Sebago’s Key West Snorkel and Sailing Adventure to some of the loveliest snorkeling sites has a 9 am trip for early rises and a 1 pm trip for those who sleep in. Or, take the helm of a V-bottom, open boat on a guided backcountry snorkel on Sunset Watersports’ Key West Snorkel Safari Tour. 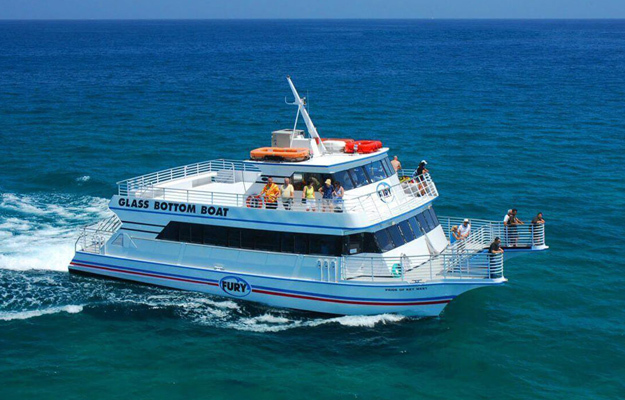 A Glass Bottom Boat Day Cruise is a good option for viewing underwater sea-life without getting wet. The “window to the reef,” lining the bottom of the boat, is in an air-conditioned viewing area staffed by expert guides. The stable catamaran minimizes the rocking motion you might feel looking down. If you are prone to motion sickness, hang out on the seated sundeck and enjoy the ride. Bottlenose dolphin are everyone’s favorite. Spotting fast-moving dolphin suddenly appear and mill nearby in languid rolls or cruise by at a fast clip, suddenly disappearing only to resurface some distance away, is a joy! Fury’s Dolphin Watch & Snorkel Combo starts out on a quest to find these wonderful sea mammals. Spend the second half of the adventure snorkeling over colorful shallow reefs. The area along the coastline on the Gulf side of Key West and up the island chain is a National Marine Sanctuary. Referred to as the “Backcountry,” it’s a special place – pristine, quiet and beautiful. Nature lovers of all ages experience it up close on a Key West Eco Kayak Tour or Key West Backcountry Paddle board Tour. Guided by naturalists, paddle quietly through mangrove tunnels, around small, near-shore mangrove islands, and over shallow flats to spot herons and egrets, osprey and bonefish, tarpon, permit, juvenile sharks and rays. 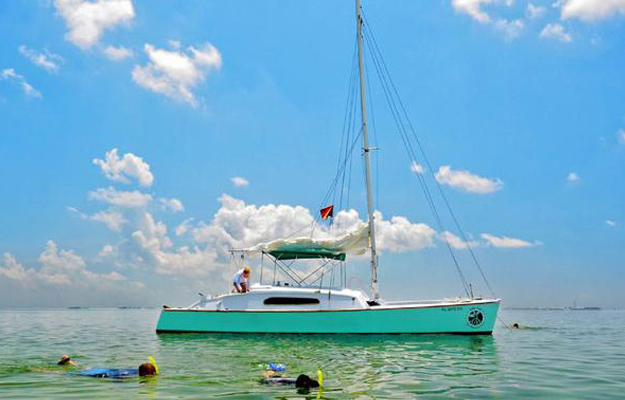 Java Cat’s Key West Eco Tours is the perfect option for those who prefer to cruise out to the Marine Sanctuary by boat. Carrying a maximum of 6 people, it’s a great family option. The captain knows the special places and a nature guide explains the marine wildlife sighted. Kayaks and snorkel gear are provided for up-close exploring. Sightsee from the water on the Ultimate Jet Ski Tour. 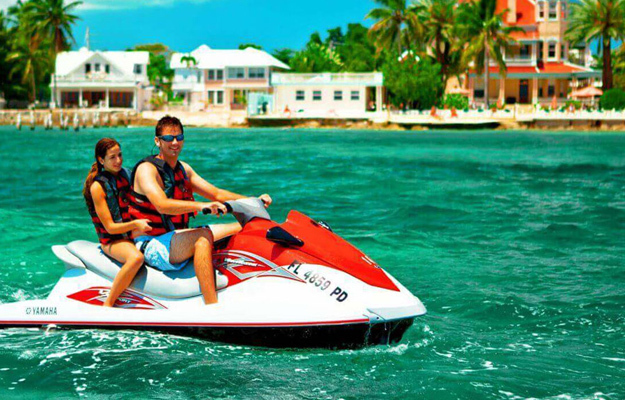 Bring a friend or two or ride solo on a fun 28-mile jet ski ride from the Gulf of Mexico around to the Atlantic Ocean. Age limitations apply to drivers, and temporary boating certification, obtained online or prior to boarding after taking a written test, is a driver requirement. A Historic Harbor Cruise is the ticket for visitors who want to cruise around the harbor, find out about its interesting history, see the quaint island town from another perspective, motor slowly by Fort Zach, and around exclusive Sunset Key. Action-packed watersport adventures are super popular. 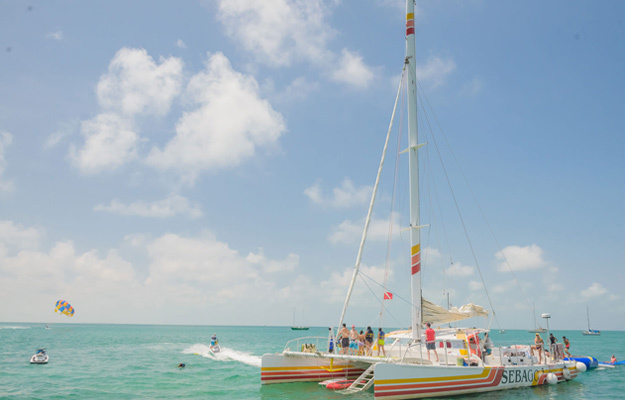 Large sailing catamarans from numerous Key West watersports companies depart from the Historic Seaport for 6 hours of action-packed fun playing in the water on favorite water toys and snorkeling over gorgeous shallow reefs. All offer similar experiences, have knowledgeable, enthusiastic crews, provide food, water and sodas. Adult beverages are available on the way back to the dock. Each has activities for all ages and a variation of water toys – waverunners, kayaks, whacky banana boats, water trampolines, floating “icebergs” for climbing and sliding. Some add parasailing. 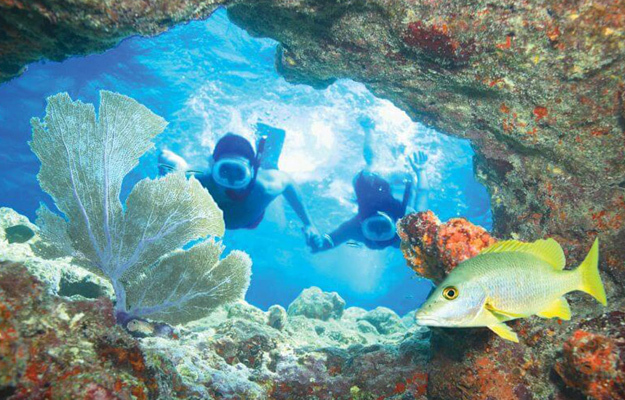 On the tamer side, snorkeling over the reef is an option on every trip. So is just hanging out enjoying the spectacular surroundings. Check out Sunset Watersports’ Do It All Watersports Adventure; Sebago’s Power Adventure Water Tour of Key West; Fury’s Ultimate Water Adventure. For an exhilarating bird’s eye view, soar solo 500 feet above the turquoise water on Sebago’s Key West Single Parasailing or with a buddy on Key West Tandem Parasailing. The 10-12 min. ride, ranging from mild to wild, is comfortable, safe and totally awesome! Every evening, as the sun begins to set, an island ritual begins. A parade of sailing vessels heads westward towards the orange-gold or pink and purple colors of the setting sun. Relaxed passengers take in the beauty, the soft tropical breeze, the music and the laid-back vibe. Everyone hopes to see the green flash! All sunset sails are great choices, differing only in the type of boat and atmosphere. A Champagne Sunset Sail aboard America 2.0, a sleek, glossy black schooner with teak decks, mahogany trim and great service, lives up to its billing. November through mid-May, board the elegant sailboat to watch nature’s spectacular show while sipping champagne, wine, beer and soft drinks in relaxed comfort. On Fury’s Commotion on the Ocean Sunset Sail, the laid-back atmosphere aboard the spacious sailing catamarans has a festive, happy hour feel. The staff is fun and the beer, wine and margaritas tasty. Sebago’s Land’s End Sunset Sail on a 60’ sailing catamaran creates a more intimate ambiance by limiting the number of passengers. Toast the glorious sunset with champagne and savor the Chef’s hors d’oeuvres selections as you sip crisp sangria, wine, and beer. Sunset Watersports’ Sunset Cruise celebrates the setting sun party-boat style. Slowly cruising along Mallory Docks and Sunset Pier, it gets close enough to hear the music and see Sunset Celebration performers. 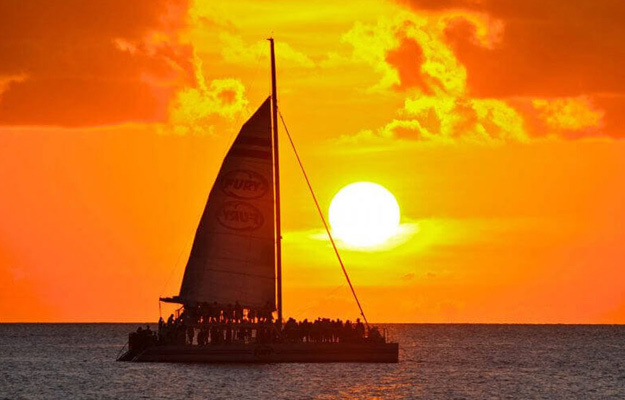 The Key West Dinner Cruise has its own spin – lavish, tropical buffet dinner, music spun by a DJ, dancing, unlimited adult beverages – all in the comfort of an air-conditioned cabin or on the deck under a star-studded night sky. A cool feature: underwater lights hanging off the stern attract lots of fish.